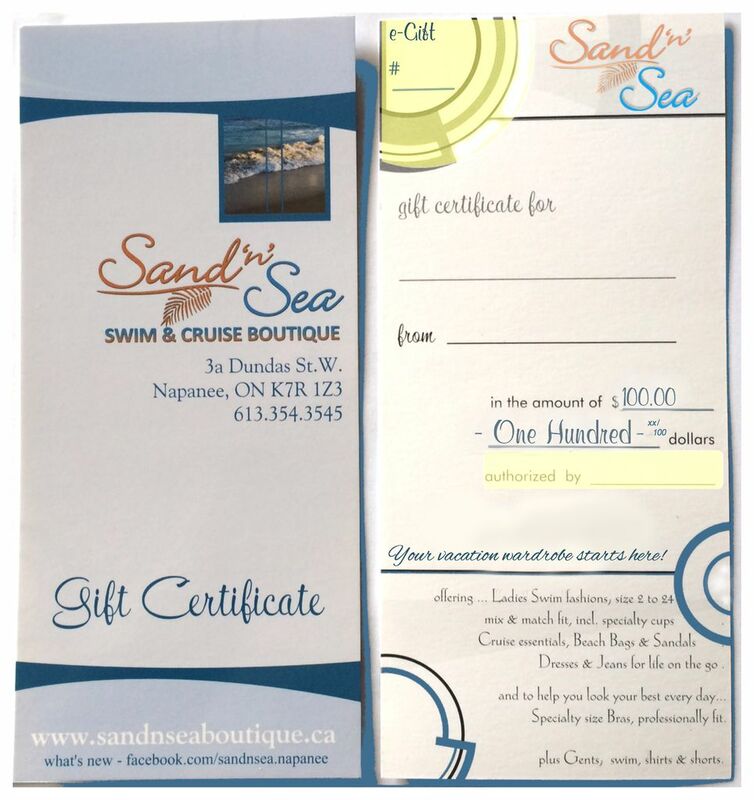 Securely order your Sand'n'Sea Boutique e-Gift here. 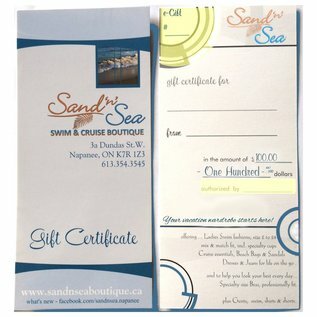 Print & gift in person -or- forward the email you receive (with a personalized verification code sent to you within 24 hours). Order your e-Gift here & receive an email with unique authorization details within 24 hours. 2. to share your e-Gift electronically, simply forward your authorization email to the gift recipient, and show us the details at check out.